It’s a very interesting matchup, pitting the explosive, 22-year old Davis against the dependable and always-ready 27-year old champion. Pedraza has gone the distance in his last four outings, emerging victorious against the likes of Stephen Smith, Edner Cherry, Andrey Klimov, and Michael Farenas. Those are respectable names, but Davis isn’t quite sold. 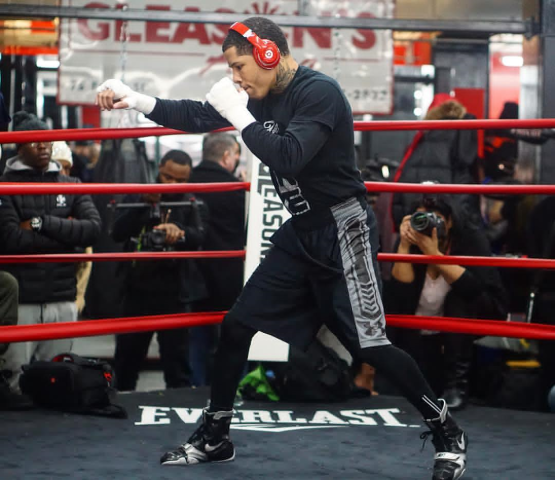 “Who has he beat?” Davis asked during Wednesday’s open workout at Gleason’s Gym. On Saturday night we will find out whether the talent and gifts Davis has is enough to overcome Pedraza’s championship experience. Check below for more from Davis.